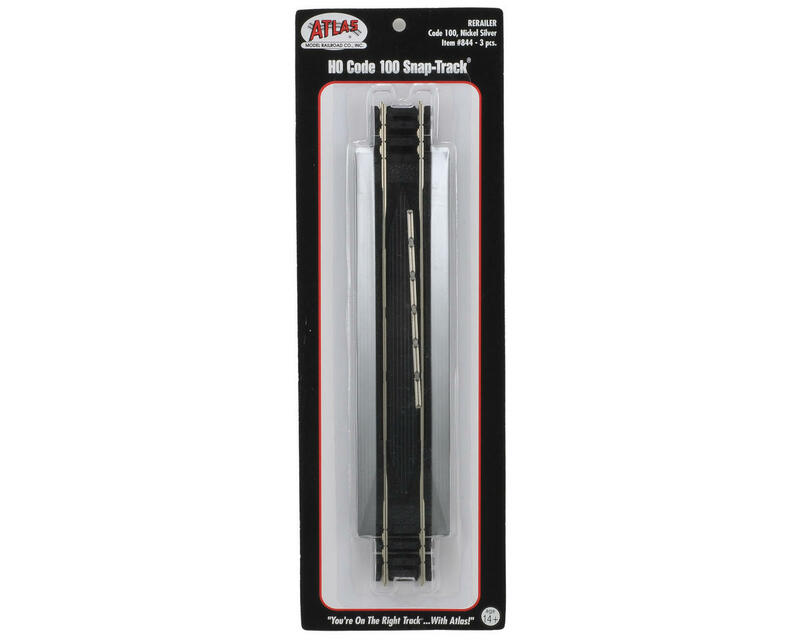 This is a pack of three Atlas Model Railroad HO-Gauge Code 100 Snap-Track 9" Rerailers. Re-Railers are sections of track that are used for getting cars and locomotives back on the rails. 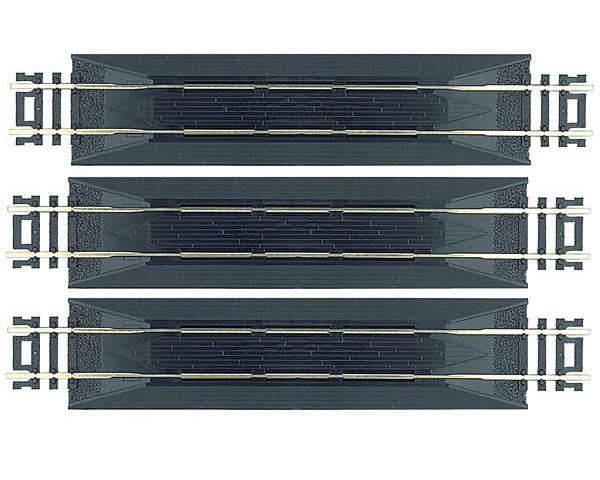 Atlas Snap-Track can be snapped together for quick assembly and easy layout modification.